For our Members. 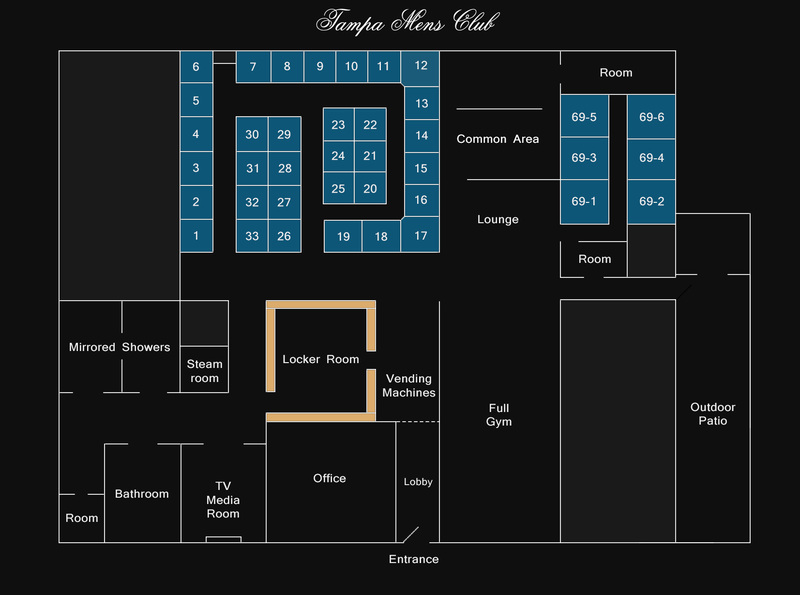 . .
Tampa Mens Club, is a safe, attractive, and super clean facility, for your enjoyment. Our well trained staff members will take care all of your needs. You will find some of our many features here. Front Desk- Our dedicated and well informed staff is always available for your satisfaction. Gym - We have a full gym available for your workout needs. Parking- Free, secure, discreet, and lit parking areas at Tampa Men's Club. ATM - 24/7 ATM machine available for your convenience. Wi Fi - Tampa Mens Club has a free WI-FI system which provides hook-up to the.